The Polisario leader, Mohamed Abdelaziz, is currently facing an unprecedented rebellion following the changes he operated at the head of the governing bodies of the separatist front as well as at the head of its representations abroad. Senior executives of the front, including so-called ministers and diplomats of the self-proclaimed Sahrawi Republic “SADR,” have openly expressed opposition to Mohamed Abdelaziz and his leadership after they were ousted from the positions they were holding prior to the 14th Polisario Congress held late December. 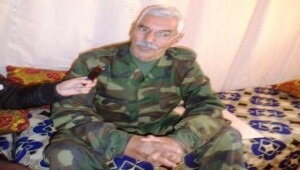 The rebellion swing was opened by Mohamed Lamine Bouhali who has been irked to be given the very symbolic portfolio of Construction and Resettlement of liberated territories, while the defense portfolio he had been holding since the early 80s was given to Abdellahi Lehbib Bellal, a member of the Polisario Secretariat General. The so-called ambassador of the SADR in Algiers, Brahim Ghali, who is a founding member of the Polisario and former defense minister, openly refused to leave his post and to attend meetings of the Polisario executive bodies. The SADR representative in Pretoria, South Africa, adopted a similar stand. According to the Moroccan daily Assabah, Brahim Ghali has reportedly boycotted a meeting held last Wednesday by the General Secretariat to protest his recall to the Front headquarters in the Rabouni camp in Tindouf. Recent meetings of the General Secretariat and the National Council (parliament) were marked by frictions between the Polisario leaders and the ousted executives who did not mince their words in criticizing the new appointments. The rebellion at the top of the pyramid is accompanied by a wave of protests by Sahrawi youths demanding real change and more transparency in the management of the Polisario-controlled Tindouf camps and distribution of humanitarian aid, which is often embezzled instead of being given to the starving populations. The youths are also protesting the marginalization of the camps populations in all decision making even when the decisions concern their own future.